There is a great supplement guide that lists all of the recommended supplements to prevent cancer as taught by Dr. Hulda Clark in “The Prevention Of All Cancers”. 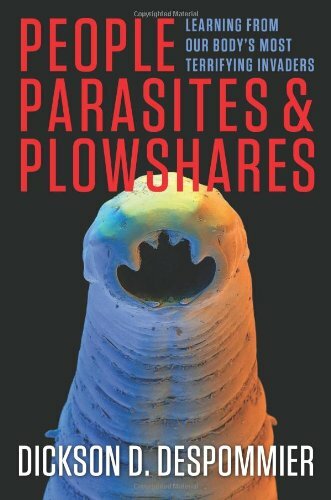 Millions of people in the world have parasites. It is a rampant health problem plaguing people every where, even in America. Having parasites in your body can cause a host of illnesses and ailments. This very effective formula of natural herbs addresses all different types of parasites and helps the body eliminate them. A potent blend of herbs historically used to help cleanse the body of parasites and worms. Help your body feel its best! Warning!! Para has slippery elm and mugwort, neither of which should be used when you are pregnant or trying to get pregnant. Statements on this page have not been evaluated by the Food and Drug Administration. These products are not intended to diagnose, treat, cure or prevent disease. 100% Vegetarian Formula. Ingredients: wormwood, green black walnut hulls, clove, pumpkin seed, garlic, hyssop, rhubarb root, thyme leaf, mugwort, slippery elm bark. FREE SHIPPING ON ORDERS OVER $50 !!!!!!!!! VITA-MYR is GMP Certified! The NNFA GMP Certification Program is designed to verify compliance of member suppliers of dietary supplements with a standardized set of good manufacturing practices (GMPs) developed by NNFA. This program is based upon third party inspections of member suppliers and comprehensive audits of their GMP programs in the areas of Personnel, Plant and Grounds, Sanitation, Equipment, Quality Operations, Production and Process Controls, and Warehouse, Distribution, and Post-Distribution Practices. This program ensures that all elements of the manufacturing process are reviewed to provide reasonable assurance that processes are sufficiently controlled so that products meet their purported quality. Don’t forget to look at all of VITA-MYR Natural Products. Feel free to contact us with any concerns or questions. VITA-MYR has been assisting people with natural health questions for over 15 years. Gaia Herbs Wormwood Black Walnut Supreme Liquid Herbal Extract. Wormwood Black Walnut contains fresh black walnut hulls. It supports healthy intestinal environment. Also, supports the GI tract and promotes healthy intestinal flora. The wormwood shrub grows wild in Europe, North Africa, and western Asia. It is now cultivated in North America as well. The leaves and flowers, and the oil obtained from them, are all used in herbal medicine. As a traditional medicine, wormwood was used by herbalists as a bitter to improve digestion, to fight worm infestations, and to stimulate menstruation. It was also regarded as a useful remedy for liver and gallbladder problems. Black Walnut – Wormwood Extract by Eclectic Institute 2 oz Liquid Black Walnut-Wormwood 2 oz. Fresh wildcrafted Black Walnut ( Juglans nigra ) green outer hull 1 1 11 . Dried organically grown Wormwood ( Artemisia absinthium ) flower leaf 1 4 11 . Dried organically grown Thyme ( Thymus vulgaris ) leaf 1 4 11 . Dried wildcrafted Cascara Sagrada ( Rhumnus purshiana ) aged bark 1 4 11 . Dried Cinnamon ( Cinnamomum cassia ) bark 1 4 11 . Dried wildcrafted Quassia ( Picrasma excelsa ) wood 1 4 11 . Peppermint essential oil .1 . Kosher vegetable glycerin 33.3 . Organic Grape Alcohol Content 35 . Black Walnut-Wormwood-Cinnamon No Alcohol Glycerite by Eclectic Institute 1 oz Liquid Black Walnut-Wormwood Cinnamon 1 oz. Fresh wildcrafted Black Walnut ( Juglans nigra ) green outer hull 1 1 16.7 Dried certified organic Wormwood ( Artemisia absinthium ) flower leaf 1 4 16.7 Dried certified organic Thyme ( Thymus vulgaris ) leaf 1 4 16.7 Dried wildcrafted Cascara Sagrada ( Rhamnus purshiana ) aged bark 1 4 16.7 Dried Cinnamon ( Cinnamomum cassia ) bark 1 4 16.7 Dried wildcrafted Quassia ( Picrasma excelsa ) wood 1 4 16.7 . Kosher vegetable glycerine 80 . Cinnamon essential oil. An estimated 90% of the population, at some point, has least one form of harmful organism invade their body. These invaders weaken the body, causing sickness as they rob you of the very nutrients, vitamins and amino acids needed for optimal health. They cause further damage by decreasing energy levels, altering pH levels and creating an detrimental acidic environment in your body. ParaTrex® is uniquely formulated to help your body detoxify and flush the intestinal tract. Wild-crafted herbs in the formula make ParaTrex® one of the most powerful aids in helping the body to resist an invasion by harmful organisms and parasites. Wild-crafted herbs are herbs not grown on a farm, but harvested from pesticide-free and hercide-free lands. ParaTrex® herbs help to produce a healthy environment in the body that is inhospitable to unwelcome invaders. One of the strongest and most versatile herbs for removing harmful organisms, the kernel and green hull are the most potent parts of the Black Walnut to promote Harmful Organism cleansing of the intestinal tract. The high tannin content of the green hull is primarily responsible for walnut’s beneficial properties. Other constituents such as juglandin, juglone, and juglandic acid are also involved in the purging process. Some research suggests Black Walnuts can oxygenate the blood, which also helps create a hostile environment to harmful organisms. Clove Bud is considered one of the best herbs for killing eggs from harmful organisms and it also acts as a powerful fungicide. References to Wormwood date back to 1600 BC in Egypt. Historically, wormwood has been used as an intestinal cleanser and anti-parasite herb. Wormwood creates an extremely hostile environment for parasites and also promotes healthy digestive processes such as increasing liver and gallbladder secretions. ParaTrex® is uniquely formulated to help your body detoxify and flush the intestinal tract, creating an inhospitable environment for invading organisms. Wild-crafted herbs are herbs not grown on a farm, but harvested from pesticide-free and hercide-free lands. Contains organic black walnut hull, organic clove, and organic wormwood! This is the most potent and effective parasite cleanse we’ve found! Free from manufacturing agents, coatings, colorings, binders, release agents and so forth. No Magnesium Stearate, Silica, Dioxides, Sulfates, Starch, Soy, Nuts, Milk. No highly processed vegetable based capsules. Only pure and certified high purity gelatin capsules, BSE, Halal and Kosher certified. Manufactured by Dr. Clark Store in accordance with cGMP and Dr. Hulda Clark’s protocols. Quickly and Easily Eliminate Parasites and Toxins From Your Body! PaleoDetox is a safe, natural and effective way of cleansing your body of parasites and other toxins which may be causing health problems. PaleoDetox is a SUPERBLEND of the most powerful parasite detox/cleanse ingredients on the market today! Includes: Cranberry (antioxidant support), Garlic (antiparasitic/antihelminthic support), Apple Pectin (reduced caloric absorption support), Black Walnut Hull (anti-parasite and digestive support), Carrot Juice (digestive support), Papaya (tissue/cell repair support), Wormwood (anti-parasite support), Cloves (antioxidant/antibacterial support), Blueberry (enzyme support) and other nutrients. These are time tested ingredients to support complete elimination of parasites from your body! Your purchase is backed by our 100% customer satisfaction guarantee. If you don’t feel better after just 1 bottle of PaleoDetox, return it to Amazon for a refund! We are THAT confident of our formula. Try it now! Supports gentle removal of parasites, worms and their eggs from your body. All natural formula – no chemicals! Made in the USA! Good Manufacturing Practice (cGMP) Certified & FDA Inspected labs mean you’re getting a SAFE product that includes what is on the label – nothing more, nothing less! Our powerful blend is PACKED with the leading natural ingredients for detox and cleanse! 100% Satisfaction Guaranteed! Ingredients are recommended by Dr. Oz and other medical professionals as beneficial for parasite detox, cleanse, and supporting weight loss in some cases. For weight loss, we recommend beginning with PaleoDetox for 10 days for a strong detox/cleanse before combining with PaleoTrim for an all POWERFUL detox/cleanse, metabolism booster, fat burner, appetite suppressant and energy booster – a COMPLETE weight loss regimen!